2 hours of tuition for £52.00. 2 hour lessons get value for money. Having 2 hour lessons will give you more time with your driving Instructor. You will get plenty of practise to understand the first lesson whether you are just a beginner or already have experience. Also you will go away with a plan for your next driving lesson. Some people like to start off with a two hour lesson to get to know the driving Instructor and be comfortable with the car they are driving, and what the company is like, before they commit to block booking or it might be just that they like to pay as there go for lessons and we fully understand this, that why we give you the choice. 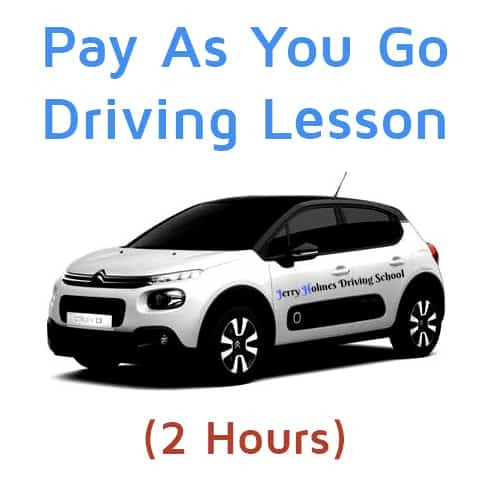 You will not be disappointed and not only that, taking a two hour lesson will allow you time to fully understand your first driving lesson and to ask questions with any aspect of your theory or practical driving lesson any worry’s and concerns you have. Your instructor will drive you to a quiet location so not to worry about busy and complex roads, demonstrating on the way telling you about the lesson and answering any questions or if you already have experience of driving then you can arrange if you a plan of action to start the lesson. All our Instructors have been especially trained in dealing with nervous drivers and continue with training courses in the latest coaching techniques. You will fully enjoy your lesson and be excited to arranging your next lesson with your driving Instructor.